Born on this date: Claire Du Brey in 1892; Fredric March in 1897; John Garrick in 1902; Dore Schary in 1905; Noel Francis in 1906; Ruth Weston in 1906; and Richard Basehart in 1914. Classic Movie Daily subscribers will find various images of Fredric March at the bottom of today's issue, including one picturing March with today's featured TCM star, Shelley Winters. I also clipped an old Noel Francis ad that I came across. —Monday, the final day of TCM Summer Under the Stars 2015 features 24 hours of Shelley Winters movies (TCM.com link). Not a lot going on here for me today, though I do like Executive Suite (1954 - 12:30 pm), mostly for ("Born on This Date") Fredric March, just a little for Shelley Winters. Winters is a bigger part of what I like about He Ran All the Way (1951 - 2:30 pm), though honestly, if I tune in, it's going to be for aging character actor Wallace Ford's performance as her father. John Garfield's final movie, and that's a shame, though I must admit he's a former favorite who I like less every time I see him—he's just a little too precise. I don't like seeing that much craft. I feel like The Poseidon Adventure (1972 - 12:45 am) was on network TV every week when I was growing up, but I'll still tune in every so often despite that, or maybe because of it. —September daytime begins Tuesday with a whole bunch of "boys" and "kid" titled movies, mostly the latter, which means a whole bunch of Westerns for me to gloss over tomorrow. By the way, TCM's Star of the Month for September will be Susan Hayward, whose movies play every Thursday night throughout the month, beginning September 4. TCM has a list of the films that will be playing alongside an essay by Frank Miller on this page. Claire Du Brey, who appears in one of my favorites, The Sin of Nora Moran (1933), also has the distinction of living past her 100th year (1892-1993), and so you'll also find her on my Movie Centenarians list. If the name John Garrick sounds at all familiar, it may be because he appeared in the subject of my most recent lightning review, Bad Company (1931), where he played the mob lawyer who marries the Helen Twelvetrees character. 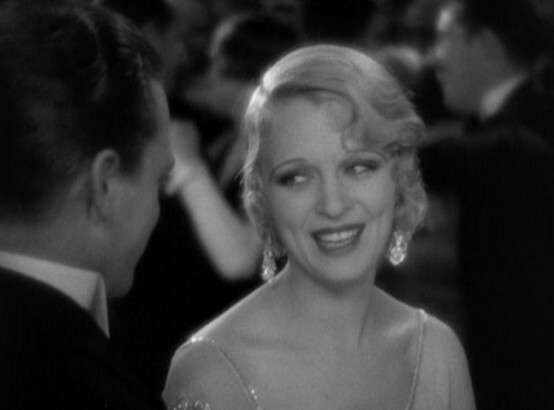 Noel Francis (Blonde Crazy , I Am a Fugitive From a Chain Gang ), underused talent of intriguing beauty, gets a bit of biographical treatment in my look at Smart Money (1931), beginning under the heading "The Women of Smart Money." The post includes an early image of her as a 1924 beauty contest winner. One of those great "brassy dames" of early '30s films, Francis is someone I'd love to cover more in depth one of these days. 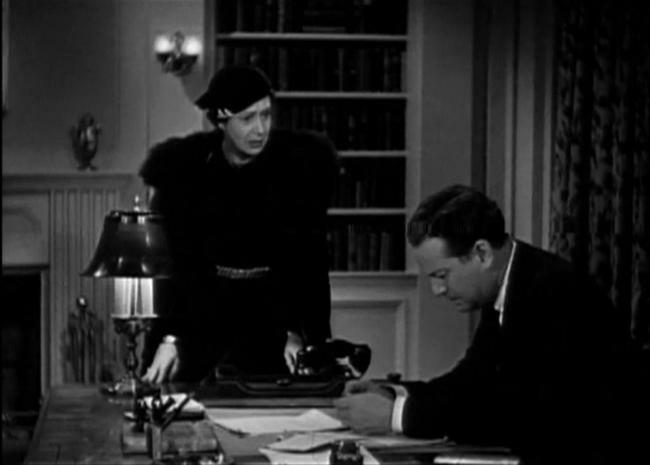 Above: Claire Du Brey (standing) with Alan Dinehart in The Sin of Nora Moran (1933). Above: Noel Francis in Blonde Crazy (1933).